A native fern, deservedly popular for garden planting. Offers a simple form which complements other ferns and shade loving herbaceous perennials very well. Very robust and easy to grow in full or semi-shade. 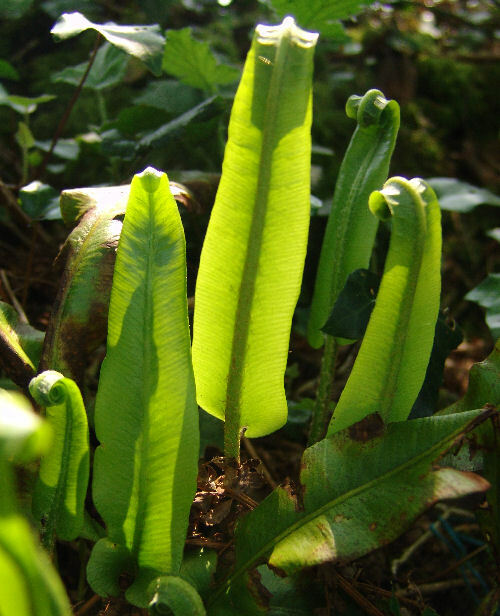 Asplenium scolopendrium- Hart’s Tongue Fern 9cm £3.95.